One of DCI’s services is to make prayers and offerings at pujas and sutra recitations on your behalf. Sponsoring prayers and offerings at pujas is a way for you to connect in with the prayers. Through your generosity and good intention you help to create the merit and purification necessary to help achieve your aims – both temporary goals (good health, temporary happiness, success, etc.) and ultimate goals (realizations, enlightenment, etc.) Sponsoring the prayers and pujas also helps support DCI and DCI’s resident Sangha. More information about what regular and special pujas we do throughout the year and their benefits. Please see our online program calendar for dates of upcoming pujas. Sponsorship of ANY amount is welcome for pujas. To sponsor a Full Set of offerings at a standard puja is $50. Again you are welcome to sponsor whatever amount you wish towards a puja. No amount is too small and if more is offered, more extensive offerings will be made on your behalf and the merit will be dedicated as you request. Whichever method you choose, please let us know in advance by clicking on the Sponsor a Puja button below and filling out the details, so that we have time to purchase and arrange the offerings beautifully on your behalf and also prepare your dedications to be read out at the puja. 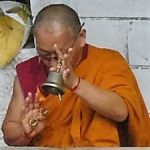 All pujas are helpful for accumulating merit and purifying negativities, but specific pujas are sometimes used for specific purposes (see below). Please also see our online program calendar for dates of upcoming pujas. Dorje Chang Institute has been regularly doing weekly Medicine Buddha Pujas for more than a decade. The Eight Medicine Buddhas made powerful prayers to help beings during these degenerate times when war, sickness, natural disasters and delusions are rampant. In this puja we make prayers and offerings to these Buddhas for the benefit of all living beings. 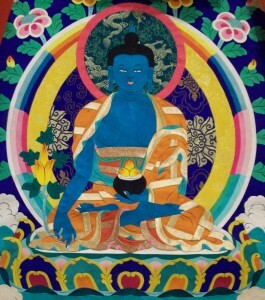 This puja is done primarily in English along with some chanting of the Medicine Buddha mantra. 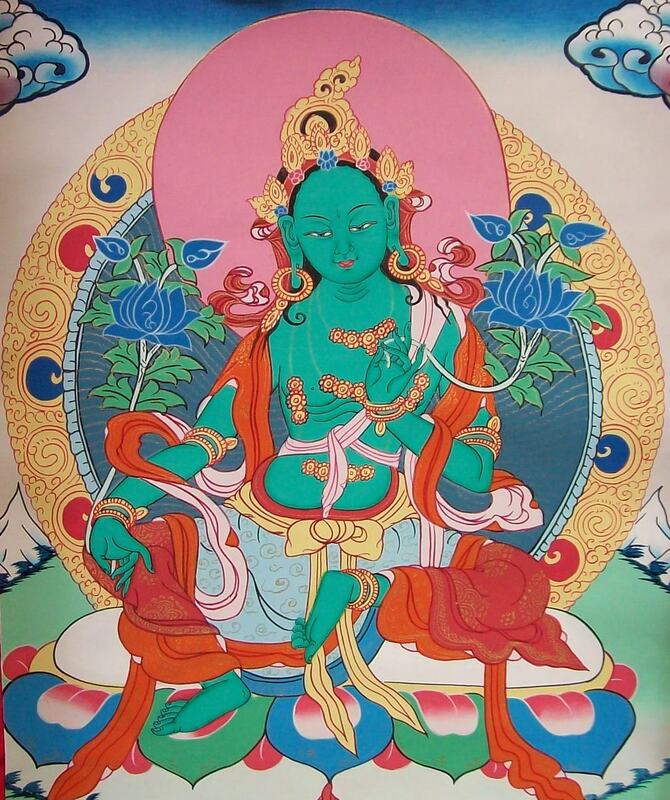 Tara is a female Buddha who embodies the enlightened activity of all of the buddhas. 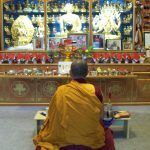 This beautiful puja includes a combination of Tibetan and English chanting and is particularly effective for receiving quick help with one’s practice or worldly matters. In the puja text itself it mentions some of the following benefits: granting fearlessness, pacifying negativities, eliminating unfortunate migrations, cleansing from being poisoned, pacifying the sufferings of torments caused by spirits, fevers and poisons, if one wishes for a child, one will get a child, if one wishes for wealth, one will receive wealth, fulfilling all your wishes and pacifying all obstacles. Guru Puja combines very powerful methods to accumulate merit and purify negativities in relation to the most powerful object – one’s holy Guru. This delightful practice includes Tibetan chanting (using phonetics) and English recitation as well as an extensive food offering. This precious practice contains many powerful practices. Kyabje Lama Zopa Rinpoche explains “It has all the aspects that create enlightenment – just as a car has all the parts that make it function. It enables one to fulfill all of one’s own wishes and the wishes of others.” Participants are welcome, but not required, to bring a contribution of any easily distributable food (fruit, savoury or sweet baked goods, juice, etc.). Sponsoring this puja will help to sponsor this extensive food offering. The program can vary depending on what day these lunar dates fall on, so please check the calendar on our Program page for specific dates and celebration details. 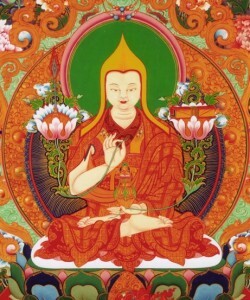 On Buddha Days, karmic results are multiplied one hundred million times, as cited by Lama Zopa Rinpoche in the Vinaya text Treasure of Quotations and Logic. 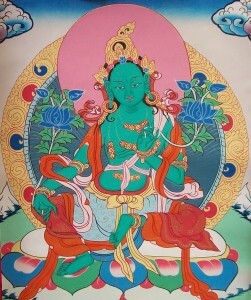 As Buddha Days are particularly powerful, it is encouraged to put effort into creating merit through virtuous actions. 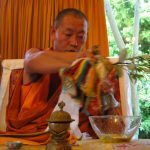 An excellent day to take the Eight Mahayana Precepts (the first time you take these precepts you need to receive them from a qualified teacher who holds the lineage of the precepts). to benefit both the living and those who have passed away. Click here for more details on the Annual Jangwa Puja. to clear away obstacles and accumulate merit. Click here for more details on the Annual Fire Puja. 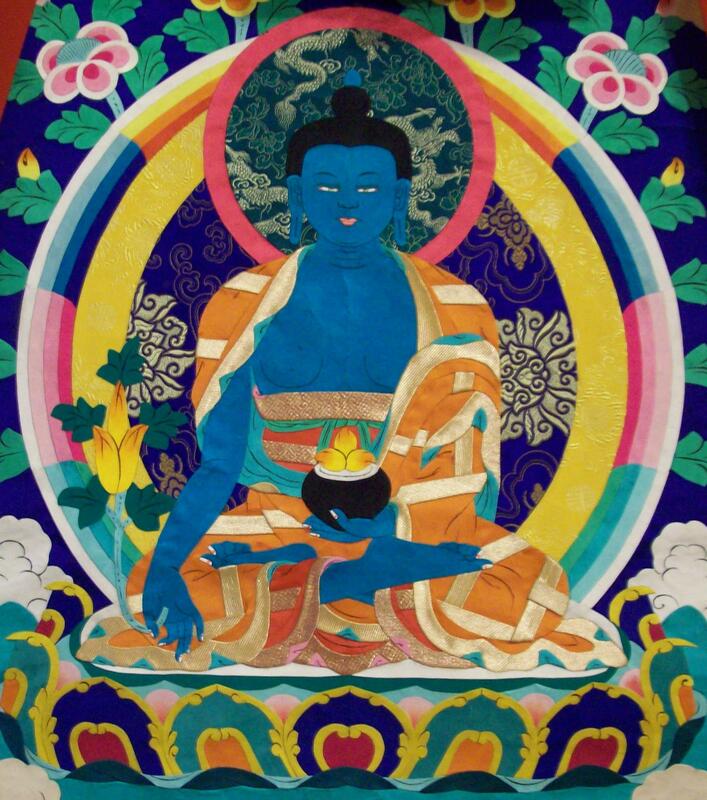 Click here for more details on the Annual Tara Wealth Vase Puja.